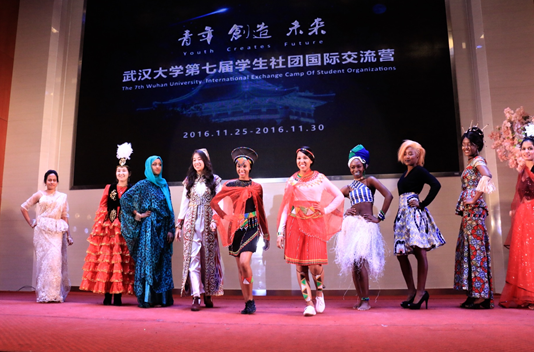 On November 25, with dazzling lights glowing in the Yubi Hall, the opening ceremony of the 7th Wuhan University (WHU) International Exchange Camp of Student Organizations attracted elites from world famous universities such as Yale, Princeton, Cambridge, and Peking University, once again strengthening the bond between WHU and the world. 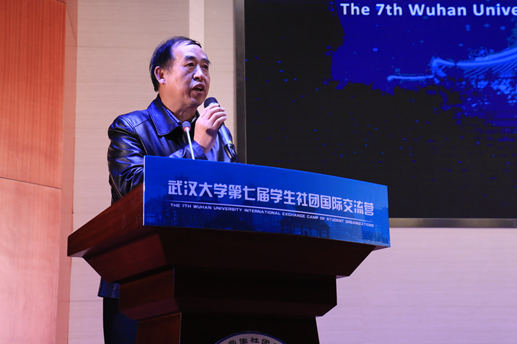 Professor Wang Chuanzhong, the vice president of Wuhan University delivered an opening address. “It’s inspiring to see so many young faces gleaming with aspiration,” said Prof. Wang, “The International Exchange Camp marks a great development in the internationalization of WHU and also meets our goal of building a world class university with first-rate disciplines.” Prof. Wang also expressed his warmest hope that young people could seize the chance to learn from their peers, to accumulate experience through practice, and to expand their international views in the clash of new thoughts. Students from WHU presented a visual feast for all the friends coming from afar. Along with the powerful martial arts and incredible opera that impressed the entire hall, the graceful dancing and the energetic modeling show left the stage roaring with applause. At the end of the ceremony, students from all over the world joined hands together and were immersed in the air of excitement. Singing along with the song, they pushed the night into a long, inspiring climax. The annual International Exchange Camp in WHU aims to promote the friendship and cooperation between youngsters from around the world. As our future leaders, young people are expected to become keener and more adaptable to the current world trend, contributing to the future world. By embracing diversified backgrounds and cultures, they will draw a blueprint of their own future ahead as well as set a course to improve our shared world.